…Government have, however, noticed with regret that in practice members of Rashtriya Swayamsewak Sangh have not adhered to their professed ideals. 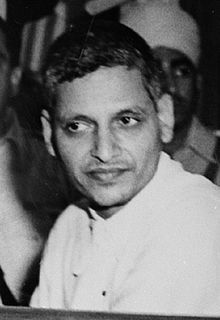 On Nathuram Godse, (19 th May 1910 – 15 th Nov 1949) Advani asserts that Godse had “severed links with RSS in 1933… had begun to bitterly criticise the RSS”. This was flatly contradicted by none other than Godse’s brother Gopal, who was also an accused at the trial for conspiracy to murder. He published his book Why I Assassinated Mahatma Gandhi in December 1993. 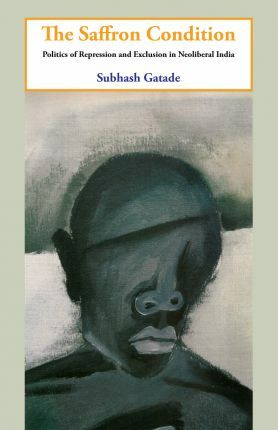 Speaking in New Delhi on the occasion of the release of his book, Gopal Godse revealed what many had suspected—they had both been active members of the RSS (The Statesman; December 24, 1993). What could be said to be the first act of terrorism in independent India? Everybody would agree that killing of Mahatma Gandhi by a Hindu fanatic Nathuram Godse constitutes the first terrorist act in independent India. Godse, a Maharashtrian Brahmin, hailing from Pune was associated with Hindu Mahasabha at the time of Mahatma’s assassination and had his initial forays in the world of politics with the RSS. During his tour of the area Hedgewar, the first supremo of RSS, use to be accompanied by Nathuram , the future assassin of Gandhi. Godse had in fact joined the RSS in 1930, winning prominence as a speaker and organiser. The 2014 elections aren’t merely about changing the government. The rhetoric ahead of the polls makes one believe that it’s an attempt at once to change historical narratives handed down to successive generation of Indians. And the man in the forefront of it all is the BJP’s prime ministerial candidate Narendra Modi. Wordsmiths of the world need to put in their heads or pull in their socks (you may say) to coin a new word which can rather resonate with what goes on in this part of South Asia in the name of political speeches. Should one call it ‘polifiction’ or ‘politainment’ or some similar word. Perhaps a word exists and this poor pen pusher is ignorant about it. Indian history is fraught with ruling-class intrigues, which tend to keep the lower classes in a perennial state of confusion. The very fact that this history comes to us in a mythologised form is itself the biggest intrigue, obscuring as it does information about how the vast, diverse masses of the Subcontinent lived through the millennia. Reading Indian history, thus, becomes an exercise in speculation. If it provides one kind of insight for one group, it is capable of being interpreted equally plausibly in the opposite way by another. What eventually reaches the people is a partisan viewpoint at best and bewilderment at worst – a condition under which the ruling classes thrive.